With Cuba becoming such a popular travel destination why not combine your visit with improving your Spanish? 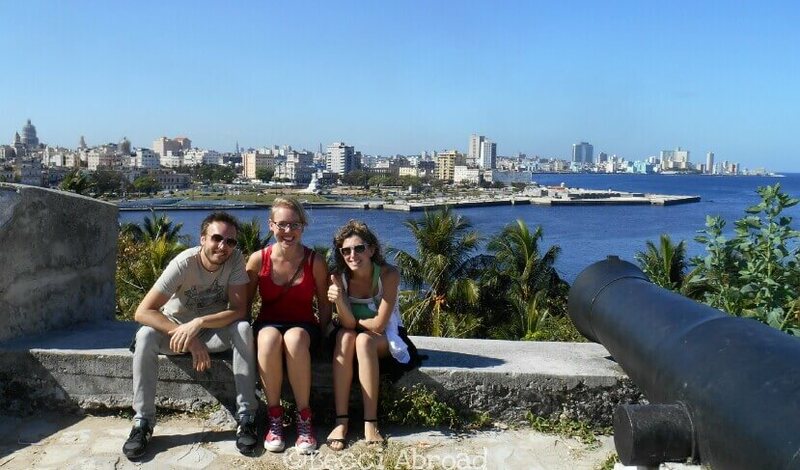 The short-term Spanish courses at the University of Havana is a perfect choice for you to experience Cuba from within. I studied for more than four months at the University of Havana, and can truly approve of the classes and the teachers! Even though it is more than 4 years ago now, I still have contact with some of the other students and teachers. I have wanted to write this post for a long time to spread the word of this excellent opportunity to experience see a Cuba at most will not know about. 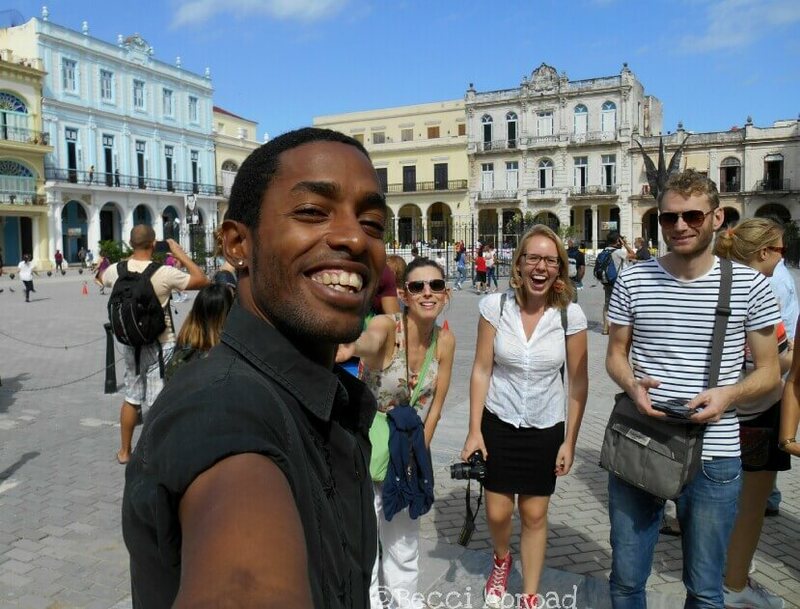 In this post, you will find my personal experience and some practical information to help you plan your stay at the University of Havana. It is the Linguistic Faculty at the University of Havana which offers short-term Spanish courses for none-Spanish speakers, and you can choose the amount of time that fits that best for you; everything from 2 weeks to 6 or 9 months are available. I have taken my fair share of Spanish classes over the years. Even though, I have had excellent Spanish teachers in Spain (and some not quite so good), at the University of Havana I met teachers that were highly prepared professionals while also being amazing personalities! The classes were always well-prepared. While focusing on standard Spanish grammar and formalities, the teachers also included information about Cuba, Cuban history, and customs. Many of the things that I learned about Cuba like the best slang words or these interesting facts about Cuban society. I got from these knowledgeable teachers. They were always happy to share and answer all our questions about Cuba. Read more about things you might have to get used to while studying and living in Havana here. Apart from the Spanish classes, there were also offered different tours for us students. Both organized formally by the university and on the initiative from both teachers and students. Everything from nights out to city walks and visiting the International Book Fair. The Linguistic Faculty of the University of Havana is located at the main campus of the university in the neighborhood, Vedado. Vedado is closing up to Centro Habana, and only around half an hours walk from the historic center of Habana Vieja. Vedado is a beautiful neighborhood and it is easy to find accommodation there. There are also a lot of new things going on in the neighborhood (remember to check out this post about Vedado). While it is still within walking distance to all the classic touristic things to do in Havana. If you want to stay longer than the one month that your tourist visa is valid then the university will provide you with an academic student visa. What are you waiting for let’s head to Havana and improve that Spanish!? 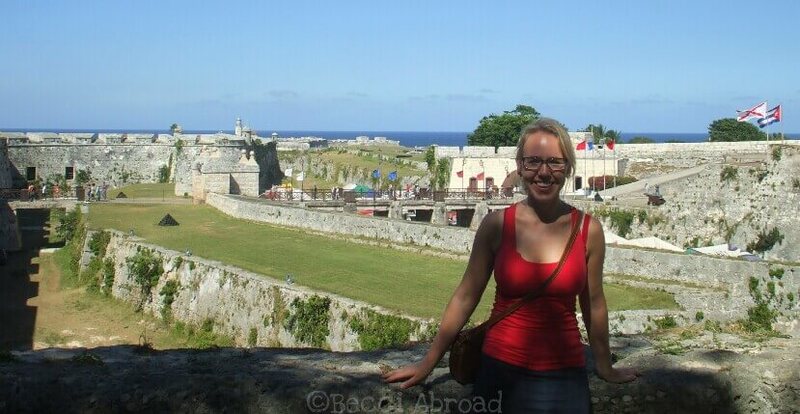 I studied at the University of Havana for more than four months and just paid month by month. However, I told the administration that I wanted to stay for that long, and they helped me get a student visa for 5 months. This included getting my own Cuba ID card with temporary residency. However, they do check up on you that you enroll for the next month. If you don’t enroll again the next month, they will cancel your residency – and then you will be in big troubles! It is not necessary to enter Cuba with a special student visa beforehand. You can just enter with a normal tourist visa, and then change to the student visa when you arrive. How to enroll in the Spanish courses at the University of Havana? Before leaving for Cuba, I tried hard to get in contact with the university to get an approval of whether the classes were happening or not… Without much luck! So, I had to just get myself together, cross my fingers and head to Cuba. The possibilities that you will have to do something similar are pretty big. Even though the internet connection has improved in Cuba, it is still not common. The enrollment for the Spanish courses takes place every first Monday of the month (except August) at 9 o’clock in the morning. Head to the university, and ask for the department of Spanish for non-Spanish speakers. At the enrollment, representatives of the faculty will first do a quick introduction (both in Spanish and in English, I’m pretty sure). Then they will give you a small written test. That is followed by a small oral test where you will be chatting with one of the teachers. The test is only to assess that you will be placed on the right level. So don’t worry about your Spanish! You are there to learn, right? Classes take place Monday through Friday from 9 am in the morning to either 12.30 pm or 13.30 pm. You will get the precise information when you arrive. If you are interested in more practical information on the processes at the university check out more here. The idea with the enrollment test is to assure you end at the right level. If you feel that you have ended up at the wrong level (either too hard or too easy), don’t be afraid to ask the teacher to change class. 6 months – 1,392 CUC. Remember that the prices can always be a subject of change. Check for any updates here at the university’s website or here at the linguistic faculty’s website. Thus, be prepared that this might not even be completely up-to-date either. Apart from these short-term courses, there are some longer-term courses which extend over 4, 6 or 9 months. Check out this official website for the university for more information. Bottom line, if you get a chance or are already planning a longer stay in Cuba and want to improve your Spanish at the same time. 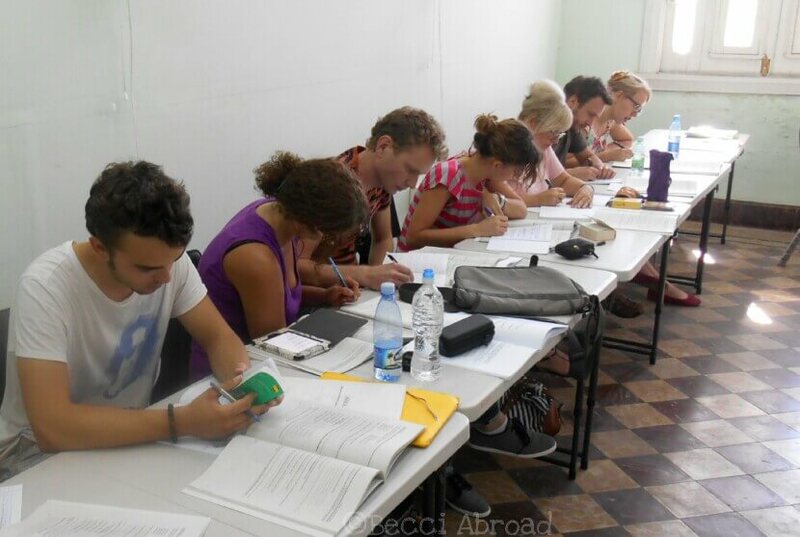 Do NOT hesitate on studying Spanish at the University of Havana. Remember to check out current price lists, updated information etc. at the linguistic faculty’s website here and at the University of Havana’s website here. Have you ever studied a language abroad? Where? 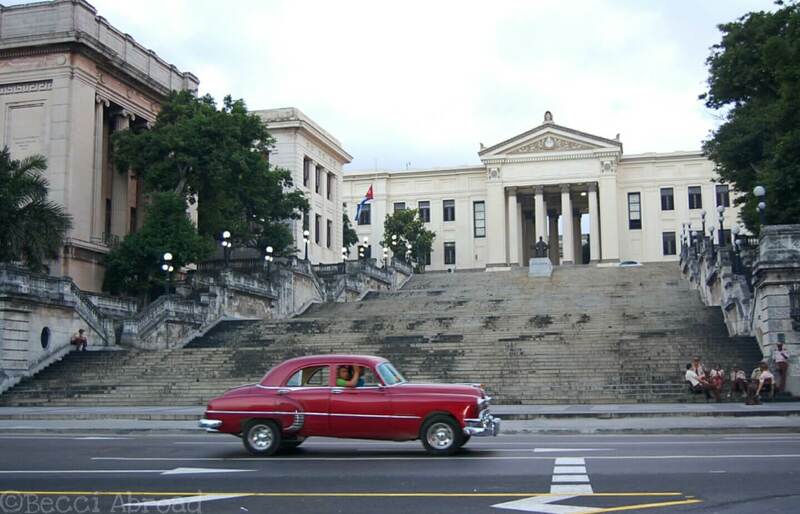 Or would you be up for trying out the courses at the University of Havana? Please feel free to share your thoughts and experiences in the comments below. Loved the post? Share the love and spread the word of these amazing Spanish courses to the rest of the world – thanks! Sounds like you had a fantastic experience. 🙂 I studied Spanish for 4 years in high school and now can barely say more than “where is the bathroom?” I would love to be able to re-study it. You’re making it so tempting!! Thank you so much for dropping by, Mona! I’m happy to hear that you enjoyed the reading. Haha, I know! That’s usually what happens to high school languages, right? I have it like you with German which I studied in school. You should definitely consider Cuba as an option for re-studying Spanish! This sounds like such a great experience! I studied Spanish in Mexico when I was in college and it was the best thing I ever did. Clearly the cultural immersion left an impression, because now I live there! I think everyone should study abroad, especially if they wish to learn another language! You’re making me want to hop on a plane and get back into school, Rebecca! The University of Havana sounds amazing! Thank you so much for dropping by! It was exactly to help out people like you who want to go that I wrote this post, so I’m so so happy to hear that you found it helpful! No worries 😉 I’m happy to hear that you could find inspiration in my other Cuba-posts 😉 Uh, that was a hard one! Since it is actually some years ago that I studied in Havana, it is a bit hard to remember. However, as I remember it than I spent 150-250 USD on accommodation (150 USD being a not authorized place, 250 USD being a casa particular for a month). And I believe that I might have used around 200-250 USD on food, transport, salsa class and nights out pr. month. You can properly good it cheaper. At the casa particular where I stayed food was included morning and evenings. When I stayed “privately” it was not. Thus, I preferred the flexibility of being able to cook myself. I admire what you have done and have been planning on doing the same thing (4 months in Cuba). I have been trying to reach the university of Habana by the phone using a call card but nobody seems to pick and the website for the university isn’t opening. Are there any other steps I should take to begin the process of studying Spanish in Cuba. Also, how did you find a host family? I’m planning a similar trip as you but for a shorter time, I stumbled upon this article and it got me interested in studying Spanish at the university. Did you already manage to get more information on the course? 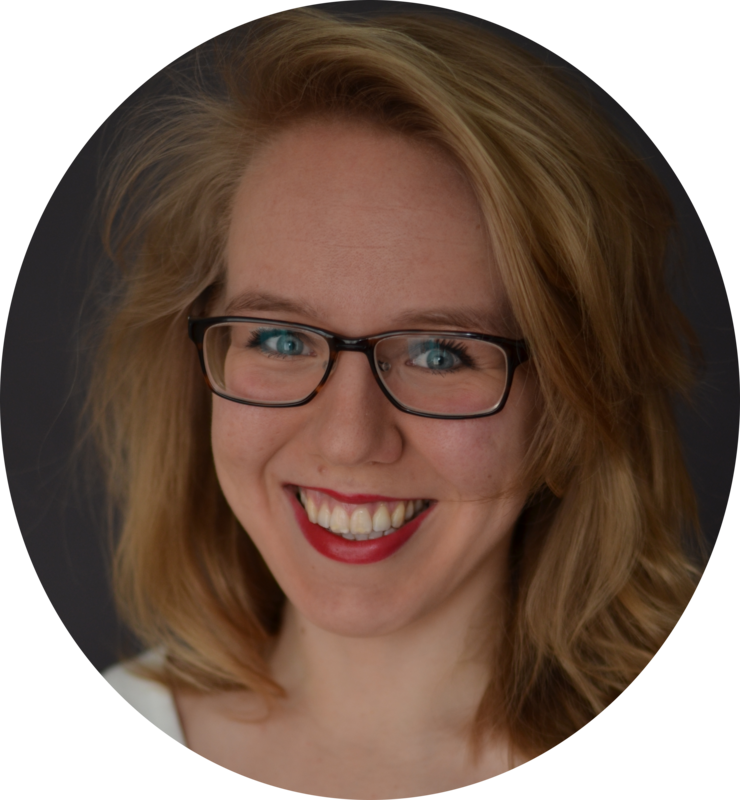 Hi Teuntje! Thanks for dropping by! You can find more information about the courses here: http://web.flex.uh.cu/en/node/191! Good luck with your Cuba trip! Hi Sam! Thanks for your visit! I’m so happy to hear that you find this post useful! I know that it can be very complicated to reach the university. Actually, they don’t start the process of registration before you have arrived at the university. You enter Cuba on a normal tourist visa, and then change it to a student visa while you have registered at the university. Regarding host family, I lived in a casa particular (private Cuban home opt for rental to foreigners). I found that please online before arriving. 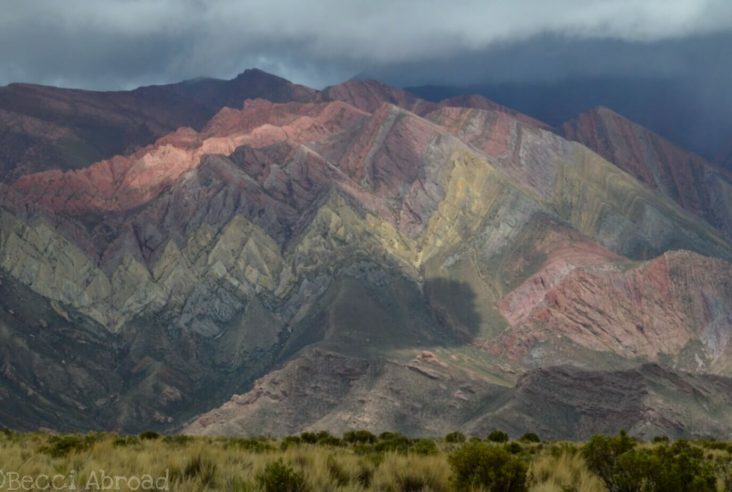 Alternatively, you can book a couple of nights in a hostel, hotel or casa particular available online (check AirBnB there are a couple nowadays), and then wander out the area of the university or ask around at the university when you arrive. Plenty of Cubans know somebody renting out. Did you already get more information on this? I’m looking to do the same thing! Please check out my answer to Neal and Sam, and let me know if you have any other questions! Though, remember that it is only every first Monday of the month (except August) that there is enrollment. Good luck with your Cuba trip – please feel free to write me again if you have any other questions! You are very kind, helping every one like this. Very grateful for your generosity. As you said: “You enter Cuba on a normal tourist visa, and then change it to a student visa while you have registered at the university.” And we all know that we need a flight ticket out of Cuba before we even get our visa. Would you recommend to spend extra and get an open ticket or do you have a different suggestion? Thank you in advance. Thank you for dropping by my blog! I’m happy to hear that you found the information useful. Depending on your level of Spanish and where you are from, it would be recommendable to book a return ticket (there are websites which will “rent” you one cheaply), to be on the safe side regarding your entrance to Cuba. I didn’t have a return ticket when I entered, and as far as I reminder I just told them that I wasn’t sure about when I would be leaving and wanted to buy my ticket while in Cuba but assured the migration officer that I would leave before the visa expired. Of course, it demands a certain level of discussional Spanish to have this kind of conversation at the border if the migration officer proposes your story. And they might be treating you differently depending on what passport you travel on. So, to be on the safe side buy or rent a return ticket. Or speak with the Cuban embassy in your country about how to get a student visa from the begin. However, it might be very complicated and take a long time. I hope this helped you a bit on your way. All the best of luck! Hi Irina & Rebecca, I am here researching the same issue about legality of buying an open plane ticket, to avoid losing the cost of the return ticket when my dates are unknown. Rebecca, can I ask where you flew from? I have been to Cuba twice from US, and wonder if it is stricter from here than from other places (I had no issues either time but stayed less than 30 days and had a return ticket). I have some conversational Spanish but not 100% confident to navigate sensitive immigration issues while trying to speak formally and remember conjugations. 😆 Thanks for all this helpful information. Thanks for joining the conversation! 🙂 I certainly believe that they differ between where you fly in from (and what passport you are entering on!). I flew in from Germany on a Danish passport when I didn’t have a return ticket. The second time I flew in from Colombia (still on a Danish passport), but this time with a return ticket. I think the best option is to search for those “rent a flight ticket” websites if you want to be on the safe side! I’m so happy to hear that you found this post a source of helpful information! Please let me know if there is anything else 🙂 All the best of luck with planning your trip! This is great information, thanks very much for posting. I stayed in Vedado last winter, a couple of blocks from the university. I wondered if it would be a good place to improve my Spanish. Your article answered just about every question I had, and then some! Gracias from Canada. Thanks for dropping by my blog! 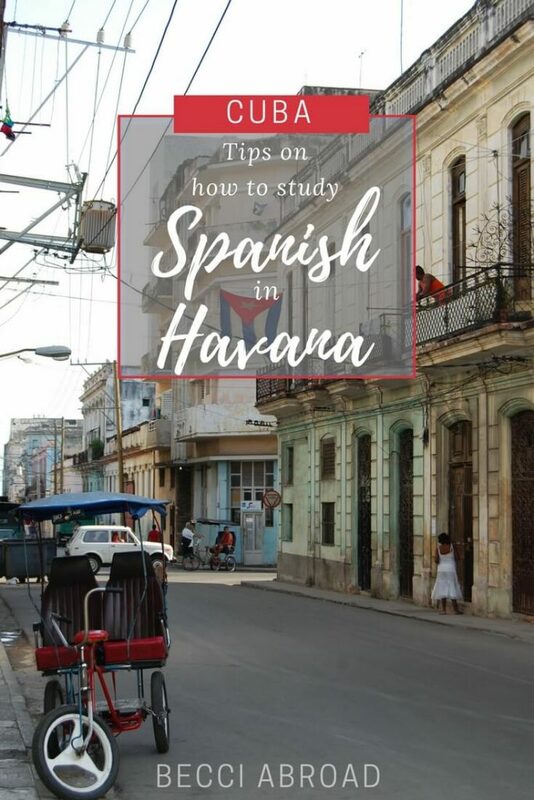 I’m happy to hear that you enjoyed the post and got encouraged to study Spanish in Havana! I hope you had an amazing time in Cuba last winter! All the best of luck! Rebecca – thanks for posting this useful information, especially with respect to enrollment taking place on the first Monday of each month. Is this this a hard rule, even for the principiante students? Thanks for dropping by and sorry for the late reply! I’m pretty sure that the first Monday of the month (except August) is a pretty strict rule as the introduction to the courses at all levels start out in the week. However, it is Cuba and might be subject for negotiation… The best thing you can do is to contact the University through some of the links I have place in the post. You have mentioned a couple of times that you have taken danse classes. Could you recommend a good place to take Salsa Bachata Regatton classes? Or maybe you know someone giving good private lessons. Also good safe places to go out and practice in a safe environment and without a partner. Thank you for all the information that is very useful to many people. I live in Martinique and I arrive in Cuba in February. I will go through the United States so I will be required to have a US visa. Do you know if it is possible to take Spanish courses at the University of Havana with an American visa? And if it is possible to change this US visa into a student visa? Or if there is another alternative? Will there be a problem then back to the United States? Thank you for dropping by my blog. I’m happy to hear that you found the information useful. Even though I’m not an expert on visa issues, I don’t see why a visa for the US should affect your possibilities of taking classes at the university. I recommend that you contact the Cuban embassy in your home country to request details. Secondly, it will not be your US visa that you should change into a student visa once in Cuba, but your Cuban tourist visa which should be changed into a student visa. Since Cuba is a separated and sovereign country from the US, your US visa will never have anything to do with changes in visa categories when within Cuba. Regarding whether there will be any issues returning to the US, it will be the best to contact the US embassy in your home country on that matter. Wishing your all the best of luck! A happy new year to you! This blog post is sensational! Thank you so much. Quick questions, how long did it take you to be able to contact the university? I tried emailing them a couple of times in the past couple of weeks and no reply yet. I also tried calling, but the number didnt seem to work. Im planning on going for a short duration course in June and wanted to start getting things aligned, but Im stressing about being able to contact them. Any additional tips? Pretty pleaseee! Internet connection in Cuba is an issue for it own, and might be one of the reasons why the university isn’t getting back to you. As far as I’m concerned the classes should be up running. I can just double check with an old teacher of mine, and get back to you.